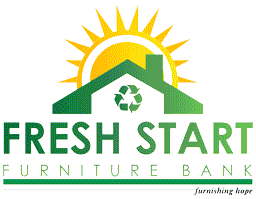 Agencies should use the following form to register with Fresh Start Furniture Bank. After you submit the form we will review it and if we approve it, you will be allowed to submit referrals to Fresh Start. Please note that we are a volunteer based organization and that it make take a day or two to review your application. You will receive an e-mail after we have reviewed your request. If your agency is already registered and you can't find someone in your organization to create a new account for you, please do NOT submit another registration. Instead send an email to accounts@freshstartfurniturebank.org with your agency's name and address along with your name and phone number and we'll create an account for you under the existing agency. The following section sets up the initial account for this agency. Additional accounts may be added later.